Haus of Hair is proud to offer a full spectrum of fine hair services and products. Our elite stylists are specially trained to listen to what a client wants and translate it into reality. Looking for a big change, but not quite sure what will best compliment you? Our stylists will help you identify the cut, color, or product that will help enhance your look to leave you feeling confident. Ready to achieve that next-level confidence that comes from feeling good about your hair? Our stylists are ready to partner with you! Give us a call at 239-210-5399 to book a consultation, cut, color, or wig fitting appointment. Alternatively, fill out the form below and tell us what you’re looking for, and we’ll get back with you soon! 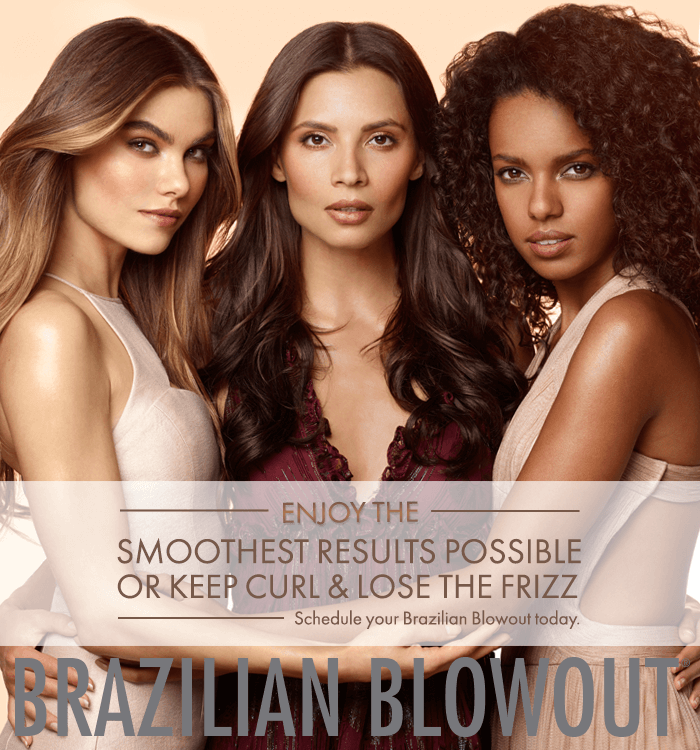 If you love your locks but want to step it up a notch with a smooth, frizz-free look, our Brazilian blowout smoothing service is for you. Our fully customizable smoothing treatment allows you to keep curl and lose frizz or achieve a smooth, straight look. This service helps to reduce drying time and fight frizz for up to 12 weeks. This treatment does not require any down time, so you’re free to leave the salon immediately and wash your hair, exercise, or throw your hair into a stylish ponytail without having to wait 72 hours! Are you looking for sleek and smooth sophisticated styles? Voluminous layers and length? Rich and radiant color? We can help you find the wig (or wigs!) you’re looking for! If you have experienced hair loss and want the look and feel of your natural hair back, our custom fitted, natural looking wigs are a perfect solution. Perhaps you want to experience a totally different “look” without the long term commitment of permanent color or cut; wigs make the ultimate accessory for the woman who can feel confident in short hair one day and long the next! Haus of Hair is your source for beautiful, natural looking “alternative” hair! Want quality extensions you can’t feel? Our strand by strand extensions offer you virtually invisible bonds that are made from keratin and easy to maintain. The fusion extensions are long lasting and high quality, made from beautiful Remy hair that thickens and adds volume while lengthening the hair. With our healthy extensions, we can achieve the style you desire with many colors and lengths to choose from. Hair extensions are are simple, self applied, and damage free. 100% Remy Human Hair allows coloring, washing, and styling – just like your natural hair. Transform fine, flat hair into a natural, voluminous ‘do. Conceal hair loss and add length and fullness instantly. We offer various style options, including a ponytail, to create that flowing, sophisticated hairstyle you’ve always wanted in just minutes. For fashion or for fun, wigs for guys are in. 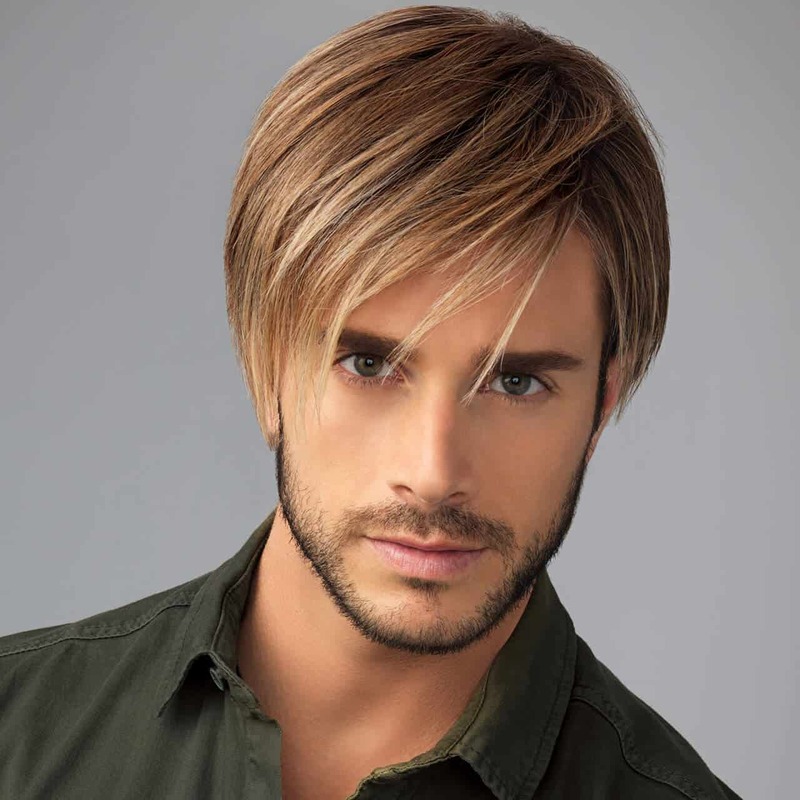 Our men’s wigs are a great solution for the guy with thinning hair or hair loss who wants to keep his youthful coiff! Our wide selection of custom wigs are fitted to sit on your head naturally. No one will guess you didn’t grow it yourself. Unless, of course, you’re looking for something a little wilder – Haus of Hair can help you there, too. Your comfort is our priority. While wigs are now a high fashion staple, we understand that for many, hair loss is a sensitive issue. At Haus of Hair, our staff is committed to protecting the privacy and identity of our clients. We offer a personal fitting service and total privacy at your request.